Discuss first aid and prevention for potential injuries, such as eyestrain and repetitive stress injuries, that could occur during programming activities. 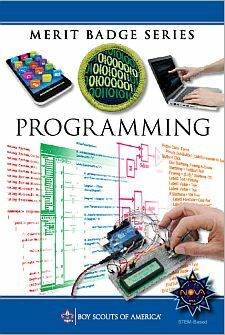 Discuss with your counselor the history of programming and the evolution of programming languages. Explain the four types of intellectual property used to protect computer programs. With your counselor's approval, choose a sample program. Modify the code or add a function or subroutine to it. Debug and demonstrate the modified program to your counselor.